US Golf School Guide came to us to bring their dated website up to date with a fresh design to encourage additional growth to their quality golf school listing. Even before launch, previous clients who had since moved away from the site were inquiring about returning due to the exciting relaunch of this directory website with advertising opportunities. 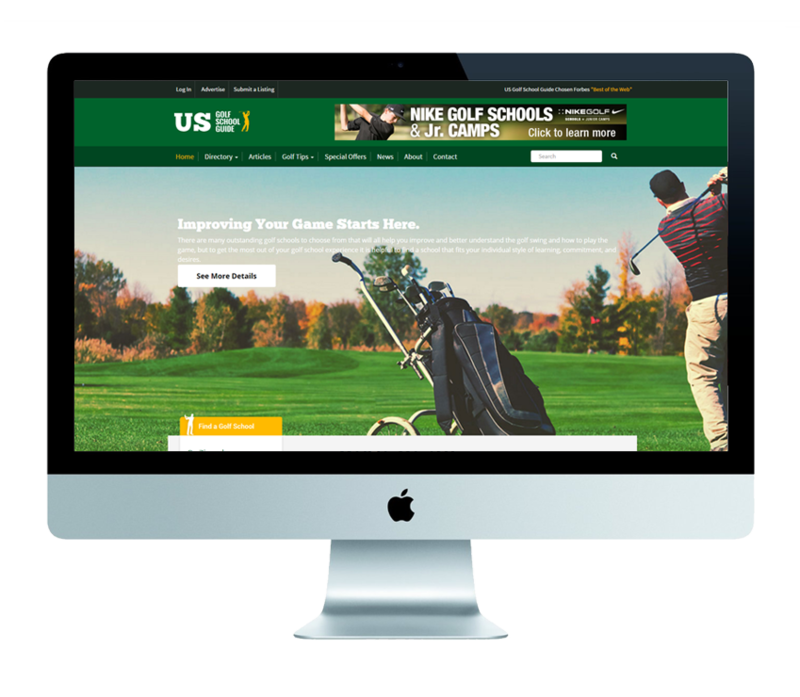 US Golf School Guide was recently acquired by a new owner that needed a major upgrade in infrastructure and design. The previous website had not been updated in many years and was hard-coded so that no easy updates could be made. The struggle was making it appealing for their current advertisers to continue purchasing ads easily and maintain their search engine rankings. We provided a clean up-to-date design with directory and a secure auto-pay advertising integration. Now they could easily make updates, maintaing listings, and approve advertising opportunities in one consolidated back-end.